US President Donald Trump’s refusal to take action against Saudi Arabia in connection with the murder of journalist Jamal Khashoggi is being criticized by many of his Republican party members. They warn of dangerous consequences and fear that the US has lost their "moral voice." 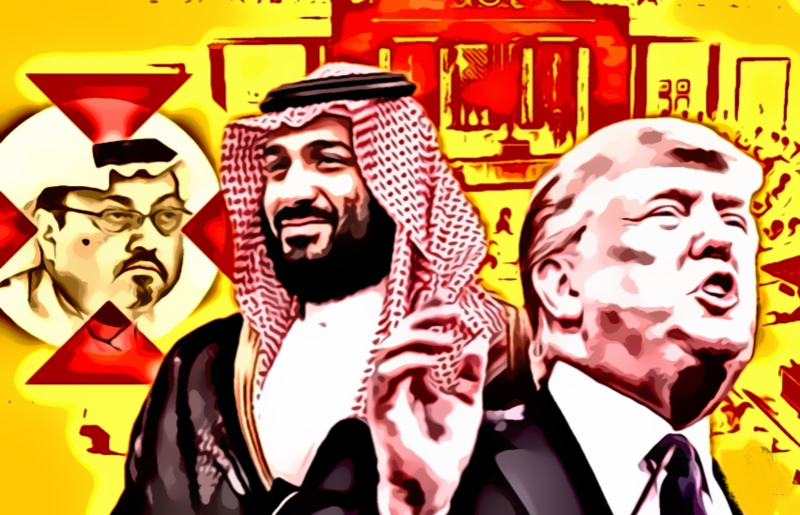 According to President Trump, there is insufficient evidence that Saudi Crown Prince Mohammed bin Salman ordered the killing of Khashoggi. The journalist was considered one of his greatest critics. In doing so, President Trump goes against the conclusions of the CIA, which, on the basis of intercepted telephone calls, determined that the crown prince had ordered the execution. Many prominent Republicans are however condemning Trump's lack of action. According to Senator Rand Paul, Trump does not place 'America First', but 'Saudi Arabia First', as he stated on Twitter earlier this week. The Senator supports a bill that aims to stop the sales of arms to Saudi Arabia worth 110 billion dollars. "We should NOT reward Saudi Arabia with our sophisticated weapons that they, in turn, use to bomb civilians. I will continue to work for legislation to stop Saudi arms sales and the war in Yemen." Senator Bob Corker, the Republican chairman of the Senate Foreign Affairs Committee (and a longtime Trump critic), says he is "surprised" by Trump's statements. He claims: "what the president actually said was: 'if you give a lot of money to our country, we will look the other way in terms of your murders of journalists and other matters'." Trump commented from his vacation home in Florida, saying: "I hate the crime,"
"I hate what's done. I hate the cover-up and I will tell you this — the crown prince hates it more than I do." He said the CIA "points it both ways and as I said, maybe he did, maybe he didn't. But I will say very strongly that it's a very important ally and if we go by a certain standard, we won't be able to have allies with almost any country." Of course the Cuckservatives want a regime change, who doesn't? Other than the fact the WAPO reporter was employed by a USA based company. He has ZERO connections to the USA. He was NOT a US Citizen he was a SA Citizen . He was NOT Killed in the USA or on USA controlled soil. He was killed in a SA Embassy in Turkey by SA Security both MUSLIM Counties. Plus the WAPO European based reporter was a SA strict follower of Islam, upset the SA Crown Prince was loosing the 10th century type controls placed on Women. So given the above facts WHY is it our problem? Why is it President Trumps problem. All this Liberal uproar of a "POSSIBLE" SA Crown Prince link just goes to also question the Feminist Movement Leadership. A DNC Controlled Leadership, who has been quiet about the SA PRINCES attempts to allow more Female rights and abilities in SA. Less y'all forget the WAPO is owned by Jeff Bezos CEO of AMAZON…. A person that has been in a OPEN WAR with Trump for some time. Thank you 43052. someone with some sense finally. Its all just an exercise in finger pointing. A total setup. They will go to any lengths. ANY!! !